It's been a long time since I added another card to my 1958 Topps set. 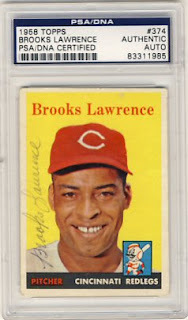 Today I received a Brooks Lawrence card that I bought on eBay from Mill Creek Sports. This makes 363 cards I have signed from this set. I'm watching a few more on eBay that I may add as well. I made an impulse buy on eBay a few days ago when I saw this old pennant for sale. It was really cheap, under $6 including shipping. It's smallish, about 12 inches long and 4 or 5 inches high. I got a surprise in the mailbox yesterday. 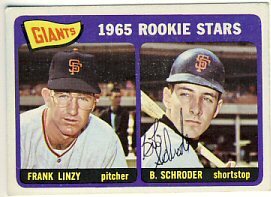 Bob Schroder signed and returned the 1965 Topps I sent him last August. 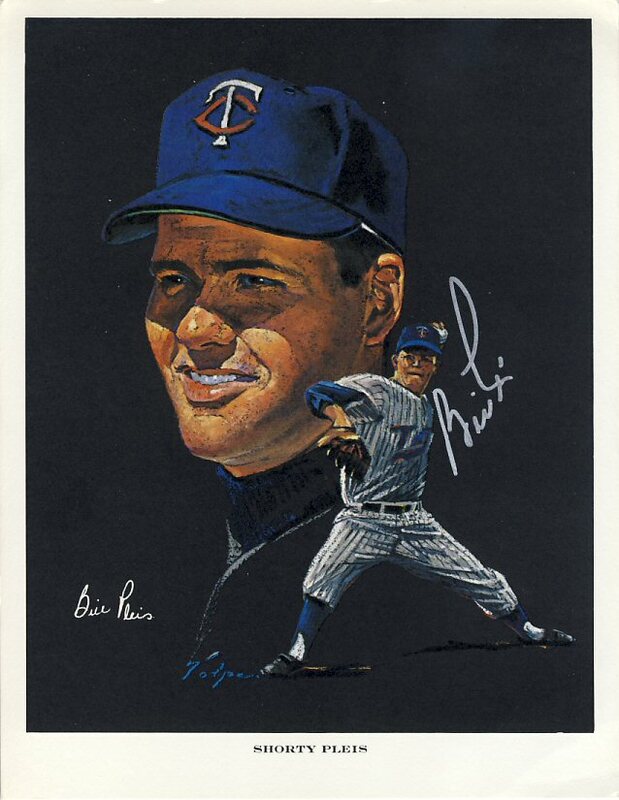 I have a different copy of this card signed by Frank Linzy. Both players take a while to sign so I'm tentative to send this one off to Linzy to complete it. 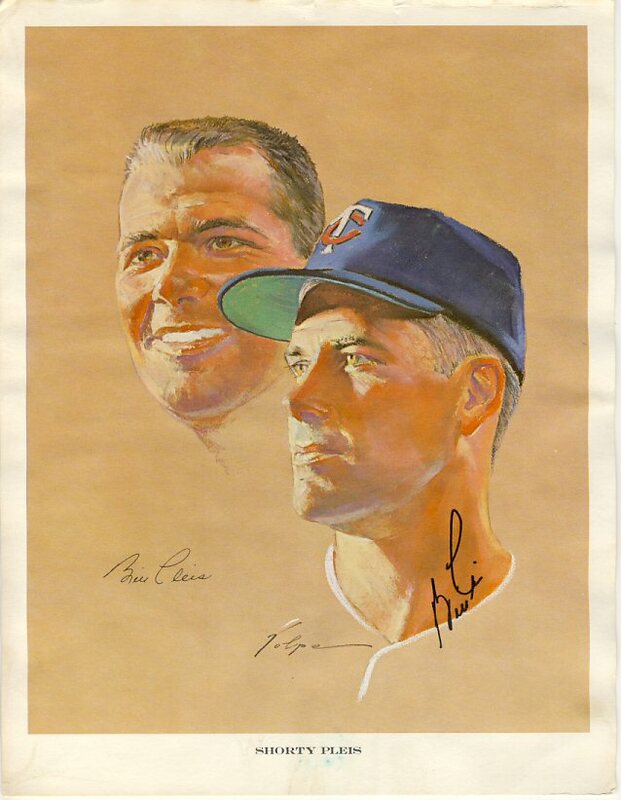 Today I received a quick return from Bill "Shorty" Pleis who signed a 1963 Western Oil Nicholas Volpe portrait that I sent. He was also kind enough to include a signed 1964 portrait as well!